I am an integrated healthcare therapist, author, teacher and celebrant. I see my purpose as being a bridge between the world of modern science/medicine and the ancient healing practices of the indigenous peoples around the world. What they knew and the healing they have offered for centuries is being rediscovered at the cutting edge of neuroscience and post quantum physics. 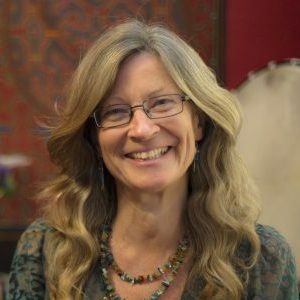 In my healing practice I work in a very hands-on way, weaving together the techniques of bodywork, shamanic healing, tantra, past life regression therapy, breath work and constellations techniques as seems optimal for each individual in an approach I call Temenos Touch. I have often been asked by clients if I can bring this ritual and spirituality into the ceremonies of significance in their lives, which is why I decided to become an official celebrant. Over many years as a shamanic practitioner and author I have gained a great understanding of the power of the ancient traditions of ritual and ceremony. It seemed like a natural step to take this knowledge and wisdom into becoming a celebrant, sharing the ways of old. You may have a special wish to have your hearts’ desires witnessed by Spirit in a non-traditional ceremony at a place chosen by yourselves. You may wish to honour all the sacred elements and this beautiful planet that we live on. You may want to share the day with your friends and family as you celebrate your decision to commit to each other, through a wedding or a hand-fasting that resonates with your own beliefs and ancestral traditions. As a celebrant, I offer ceremonies at the place that is special or possibly even revered by you, be that out in the beauty of the elements or in the sanctity of a sacred building, as you wish. Within the wedding ceremony there are many choices for hand-fasting, unity candles, despachos (earth-offerings) and fire offerings, or any other rituals derived from your beliefs and your lineage that you would like to incorporate into the ceremony. We can harmonise all of these ancient elements and ideas collaboratively into the day that you have been dreaming of. The birth of a child into a family is an opportunity to honour the lineage, the ancestors that have led to this point. Particularly if the family is of mixed race or traditions, a naming ceremony can be a beautiful time to acknowledge the whole family, including rituals from different cultures to celebrate the arrival of a new member of the tribe. Once again despachos, a Quaich or fire ceremony can be included if you would like these to honour your child and their place in the lineage. Exploring types of ceremony and ritual and especially performin Shamanic Ceremonies, Earth Honouring Ceremonies and Handfastings.